Argentina Travel Guides – The Discoveries Of. Argentina is a country that demands attention. From the fast-paced throng of Buenos Aires to the thundering spray of Iguazu Falls, it’s a country you’re not going to forget in a hurry from your South American travels. Every time I visit Argentina it’s like I’ve been picked up in a whirlwind – one that doesn’t finish until I’m boarding the plane and on the way home again. The sizzling asados (barbecues), the tang of yerba mate (a herbal tea), the tango, even the deathly stillness of the Andean salt flats – it’s all an assault on the senses. If you’re planning on visiting Argentina, get ready to be wowed. 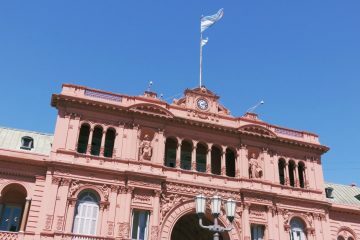 You can’t take a trip to Argentina without spending some time in Buenos Aires. Stylish Porteños set the pace – sitting on sidewalk cafes during their breaks, eating late dinners and partying all night (the latter is optional). That’s before you even get to the architecture – beautiful turn of the century buildings you can’t help but photograph time and time again. A completely different kind of city. Salta, in the north of Argentina is one of my personal favourites. With an impeccably-preserved colonial city centre and a unique Andean feel, it’s also a great jumping off point for adventures in the surrounding region. Horse riding like a gaucho? No problem. Kayaking in giant freshwater lakes? Done. You can’t go to Argentina and not spend some time sampling and learning about their wine. Mendoza is the home of some of Argentina’s best small-scale producers (and large-scale ones too). Hire a bike and cycle your way between them for a day or two. Too-cute for words Bariloche is well worth a visit in itself. What’s so special about a small town on the fringes of the Parque Nacional Nahuel Huapi that’s famed for producing excellent chocolate (it really is good)? Well, it’s one of Argentina’s biggest ski destinations and a prime hiking spot in the summer months. A tiny, tiny town that has become Argentina’s hiking capital. There’s only one good reason to head to El Chalten and that’s to head off into the Fitz Roy range for some of the country’s best hikes. There are hikes to suit all levels – from short day-long hikes to tough week-long adventures. Highly recommended. 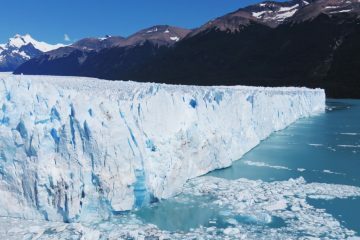 Get ready people – you’re about to lose your sh*t over Glacier Perito Moreno. The sight of the glacier, spread out for miles before you is enough to make you stop and stare. Wait until you see and hear large chunks of it breaking of and splashing into the lake below. No words. My advice would be to go to both the Argentinean and Brazilian sides of the falls for a real perspective on the sheer size and scale of Iguazu Falls. If you only have time to do one though, the Argentinean side offers the chance to get close up to some of the falls, including the spectacular Garganta del Diablo.